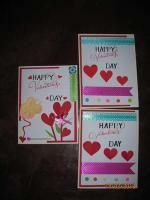 Lots more card verses for your handmade greeting cards. As I have said in the first page of verses and quotes for homemade cards, any homemade cards without a handwritten or computer printed greetings will just be a piece of art. 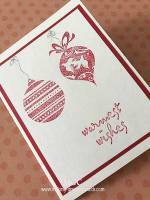 But with a verse or quote added, whether handwritten, stamped or printed, will definitely add value to the cards. 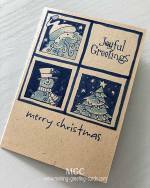 So do not just send a handmade card by itself to the recipient, but add a short note, a greeting, a quote or a verse that you feel will speak to or benefits the recipient in some way. And if you have a good quote or verse to share, please contact me and I will include it in the relevant list. Choose one, or more and combine them. Freely use these card sayings to bring a smile to the hearts of your friends or loved ones. Telling someone who has lost a loved one is always so difficult. Maybe one of these verses will help. Do add a personal note to help the recipients knows you care and are there for them at this difficult time. Click here to read the verses for sympathy cards. Click here to read more verses for sympathy cards. Saying thank you to someone who has done you a kind deed - that's what this page is all about. Make some Thank You cards and keep them at hand so that when you feel grateful to someone who has been kind, just add a verse from here and send him or her a lovely handmade thank you card to show how much you appreciate the kindness shown. Click here to view the thank you verses for Thank You cards. Click here for the second page of words of gratitude. A new addition to the family! Congratulations! Here are some baby verses you can use on your homemade new baby announcement cards. Click here to for these baby verses for your handmade baby announcement cards. Add a love quote to your wedding cards or wedding invitation cards. Click here to view the love quotes. Whether you send a store-bought Valentines Card or a handmade one, add one of these verses to tell him/her how much he or she is loved. Click here to view the valentines verses. Click here to view the valentines poems. Thanks for friends! They are the people we call when we are happy or sad. They are our shopping partners too. Let's tell them how much we appreciate them and what his or her friendship means to you. Click here to view the friendship quotes. More card verses and other card projects will be added to this website. 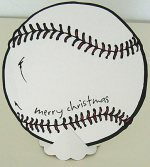 So do bookmark this card making website to make sure that you get the latest updates to the site.